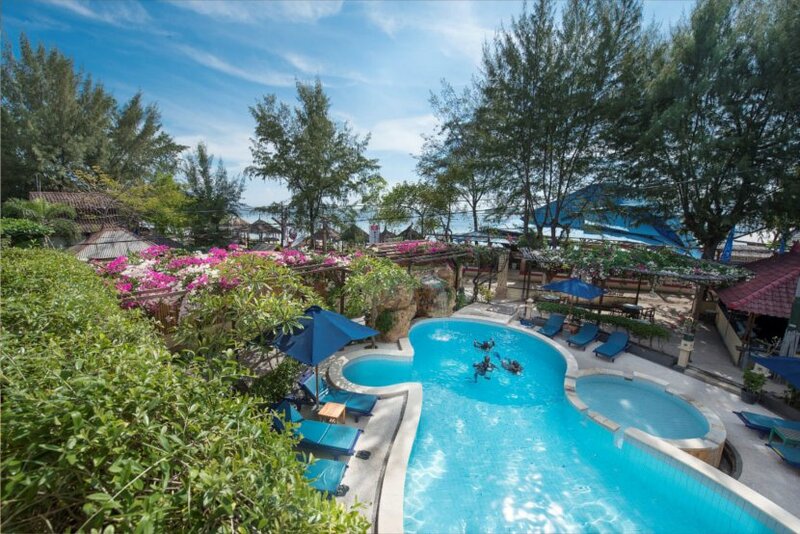 Gangga Divers at Villa Almarik, a PADI 5 STAR Dive Resort, is managed by the well known Gangga Divers Team. The Dive Center offers a large range of diving courses conducted by professional, PADI, instructors, and caters to divers of every age and level of experience; the dive guides are all certified to Dive Master and Assistant Instructor level, and will tailor the diving to suit your needs. 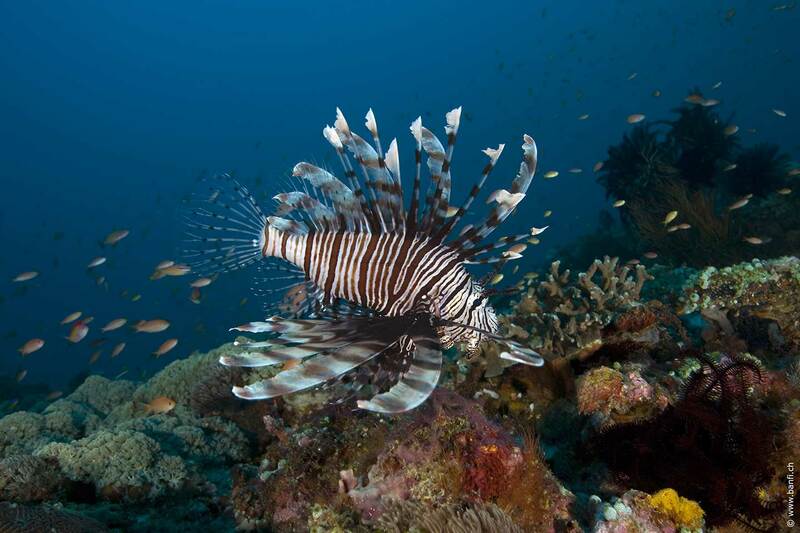 For certified divers, there are more than 25 dive sites located around the 3 Gili's. These consist of drop-offs, slopes, drift dives, and of course the tremendously rich bio-diversity in marine life that Indonesia is famous for. There's a dive for everyone...! Experience the adrenalin rush of diving with white tip reef sharks, huge sea turtles, barracudas, manta rays, moray eels, frog fishes, pipefish and more. The dive boats are of traditional outrigger style and equipped with O2, towels, drinking water and fruits plus a camera wash tub. Most of our dive sites are not far from the islands, all teaming with marine life and beautiful corals in depths ranging from 5 meters to 40 meters. Its very possible to make 2 or dives and still have plenty of time in your day for relaxing on the island's white sandy beaches. A great underwater video from Chris Hamilton about the marine life on the Gili Islands - Indonesia. 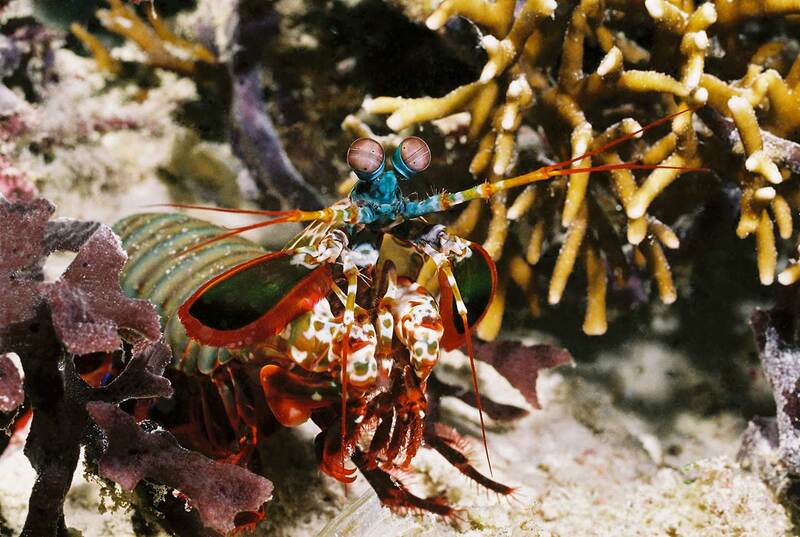 There are over 3,500 marine species living in the reefs and seas of Indonesia. In comparison to the Great Barrier Reef (1,500 species) and Red Sea (600 species), 25 % of all reefs in the world are in Indonesia. The many drop-offs, plateaus and slopes around the Gili's reflect a good cross-section of what Indonesia has to offer. 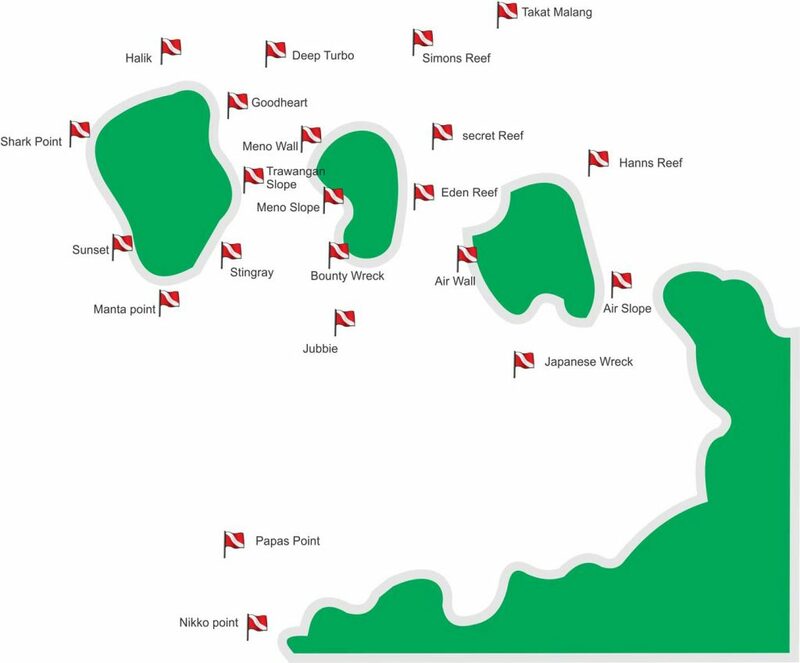 All our dive sites are located 10 to 25 minutes boat ride from the dive centre. This means that if you want to go for a dive, you actually do spend more time in the water than on the boat. Gangga Divers' boats leave from the beach directly in front of the resort and then return to the resort at the end of your dive. It's quick, its easy ands it's simple. Around the three Gili Island (Gili Air, Gili Meno, Gili Trawangan), you will find more than 20 different dive sites and there are new reefs being explored all the time. Halik is situated on the North east of Trawangan; a steep slope starting at 5m and ending up in a series of canyons in the deeper parts. This site is perfect for multilevel or drift dives. 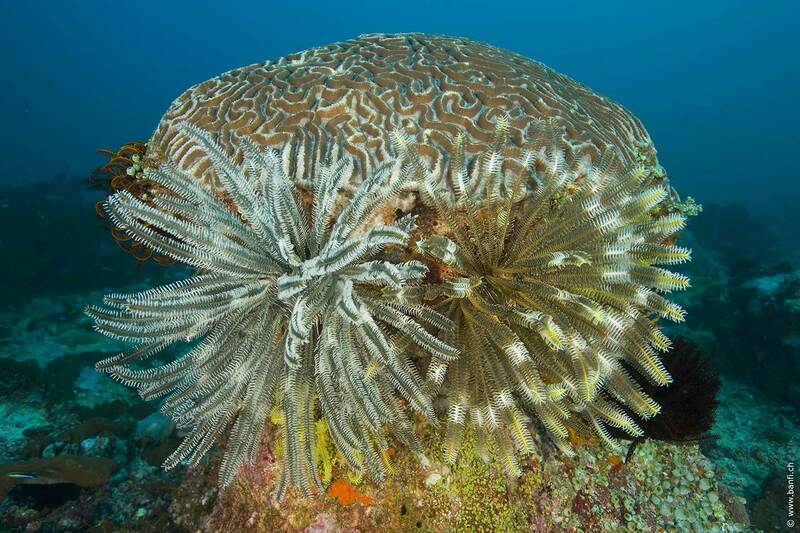 Beautiful formations of hard coral are found in the shallows, along with Lionfish, Fusiliers, Banner fish, Moray Eels, Coral Grouper and Bumphead Parrotfish (around the full moon). 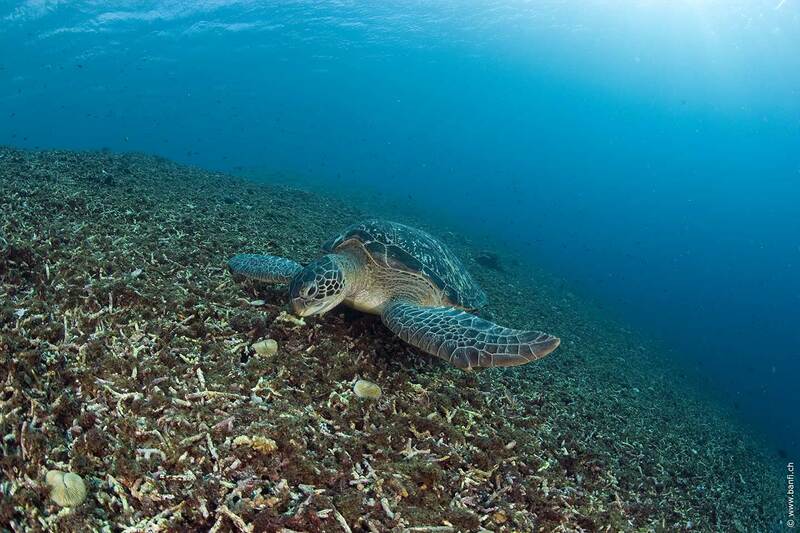 Green sea turtles and Hawksbill turtles are literally everywhere! Deep Halik, the deeper part of Halik reef is for the more experienced divers, here you will be able to find beautiful soft corals, many types of Grouper, Batfish, Trumpet fish, Octopus, White tip / Black tip reef sharks, Eagle Rays and some times Mantas can also be spotted. This is always a very popular dive site which will offer you a large diversity and abundance in marine on a single dive. Andy's Reef is a vast open dive site situated on the west side of the islands and available to all levels of diver certification. The site starts on a sloping reef, with a series of 3 ridges and valleys (25m, 20m, 18m) running parallel to the shore, leading into the deeper water, Shark Point (28m). An area which truly deserves its name, this is an excellent site for viewing the larger marine life. Turtles are almost guaranteed to be found in the shallower parts among the soft corals. White Tip and Black Tip Reef Sharks, Jacks, Barracuda, Tuna, Trevally, Angelfish, Snapper, Groupers, Batfish, Parrotfish, Triggerfish, Puffers, Surgeonfish, Blue Spotted Stingrays, Moray eels and more are all commonly seen. Situated on the south tip of Trawangan, this site is a gentle slope starting at about 5 m and ending at about 22m, rarely any current; it is definitely a favourite for beginners. 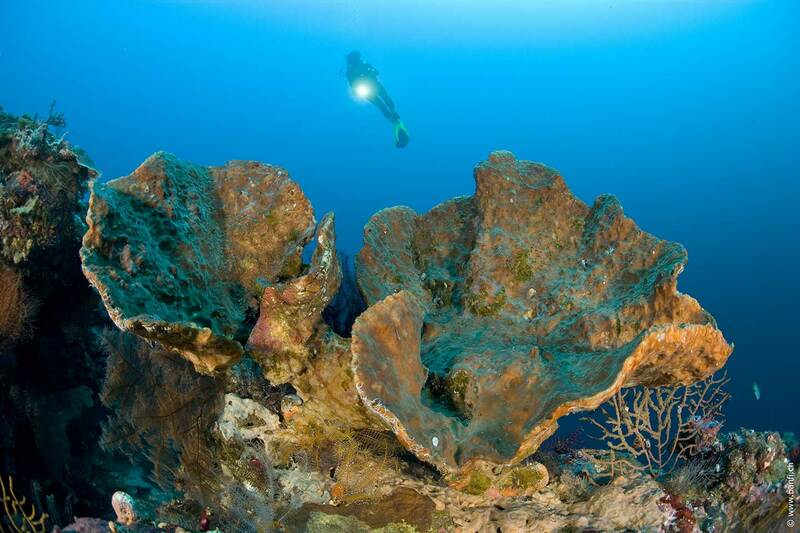 A large portion of the reef is marked by giant steps of table coral which shelters the fishes. Some isolated bommies of hard corals and some soft corals. You can spot Sweet Lips, Groupers and Snappers, Angelfish and varieties of Parrotfish. 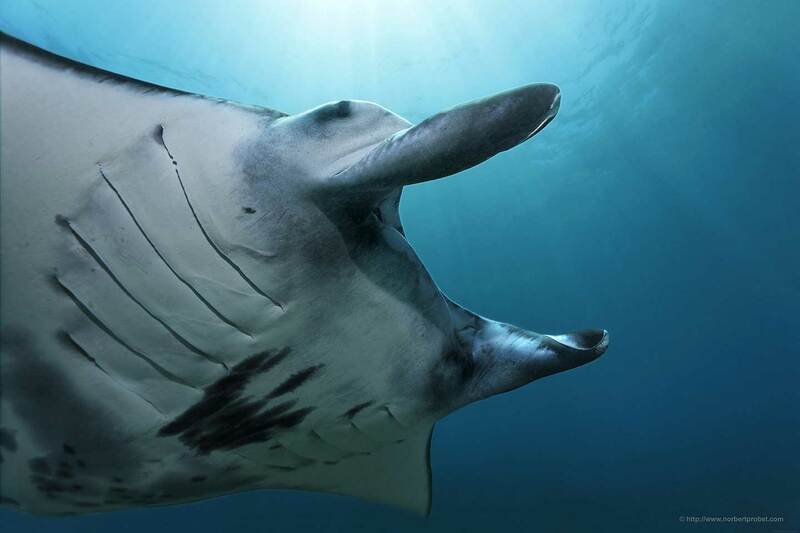 The site ends in a sandy bottom where it's the norm to find White Tip and Black Tip reef Sharks, Stingrays, Turtles and during the rainy season, when the water is rich in plankton, you could have the chance to see passing Manta's. Situated on the West side of Gili Air, the wall starts at 6m and drops off to a maximum of 30m, with an average depth of 18m. The coral growth is at its best in the shallower sections near the South end of the site, it is home to both soft and hard corals in large varieties. Gili Air Wall offers you a lot of overhangs and arches filled with Glassfish, Moray Eels, and Octopus. One of the highlights of this dive is finding Leaf Scorpion fish in the coral blocks. In the deeper parts you will find White Tip reef sharks, Lionfish, Triggerfish and of course the stunning Six banded and Regal Angelfish. Hans Reef is located on the North of Gili Air, it's a gentle sloping reef with a white sandy bottom, various sized coral bommies and rocky outcrops are dispersed over the site. The maximum depth is 24m with an average depth of 14m; this dive site is suitable for all certification levels. 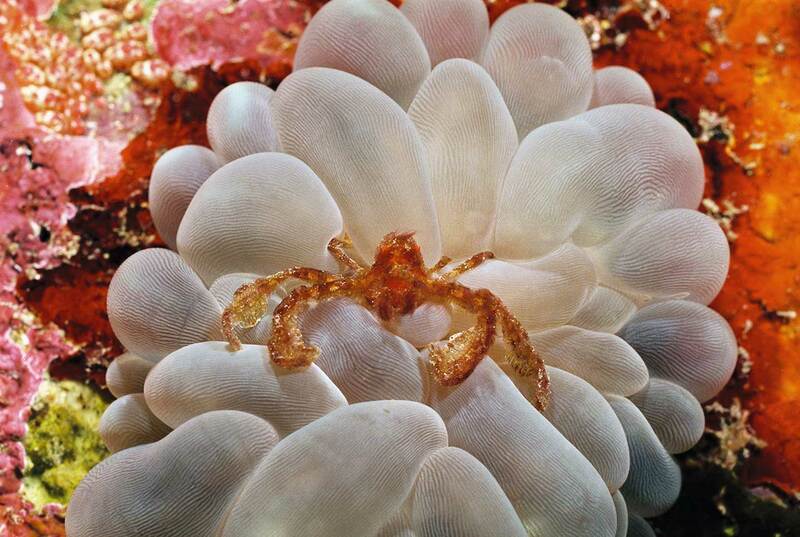 Hans Reef is a must for macro photographers or those of you who wish to see some of the smaller and stranger marine life. 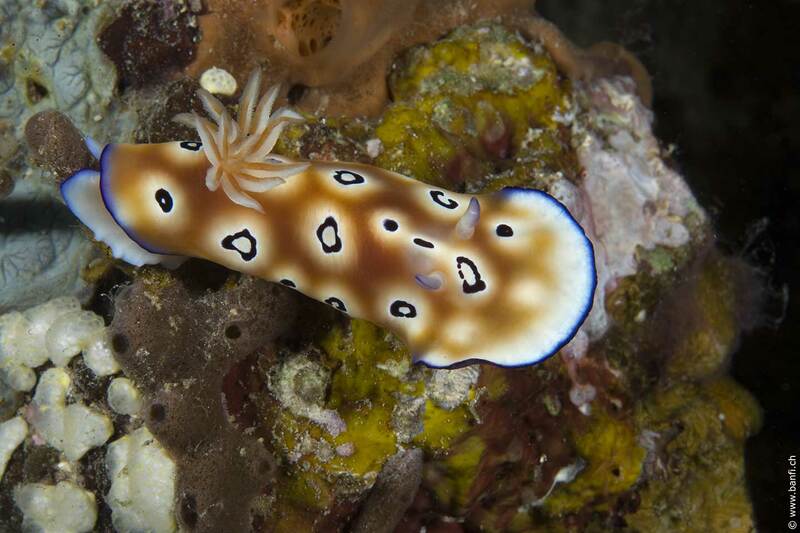 Hans Reef boasts a wide selection of juvenile fish such as Batfish, Angelfish, Boxfish, Frog fish, Leaf Scorpion fish and if you look carefully, it is common to also spot Sea Horses, Black spotted morays, pipe fish, Mantis Shrimps and a variety of Nudibranchs. Situated on the North West of Gili Meno the shallow part of the site starts at 5m and drops off to a sandy bottom at 24m. You will find soft corals growing all along the reef and this site offer good opportunities to spot turtles, Lionfish, Soldier fish, Clownfish Groupers, Sweet Lips and Snappers all in large quantities and varieties. Meno wall is a favourite for night dives and it is common to spot many kinds of crustaceans, crabs, lobster and a variety of reef shrimps along with sleeping turtles, Bump Heads and other large parrotfish, juvenile cuttlefish, scorpion fish, lion fish, Moray eels and Spanish dancers. Another interesting and popular dive site available to the experienced diver, Deep Turbo has a white sandy bottom between large sea mounds and coral canyons. The Maximum depth is 32m with an average depth of 25m. The sea mounds and canyon walls differ in size and offer you an interesting collection of overhangs and outcrops, all covered in a variety of hard and soft corals. 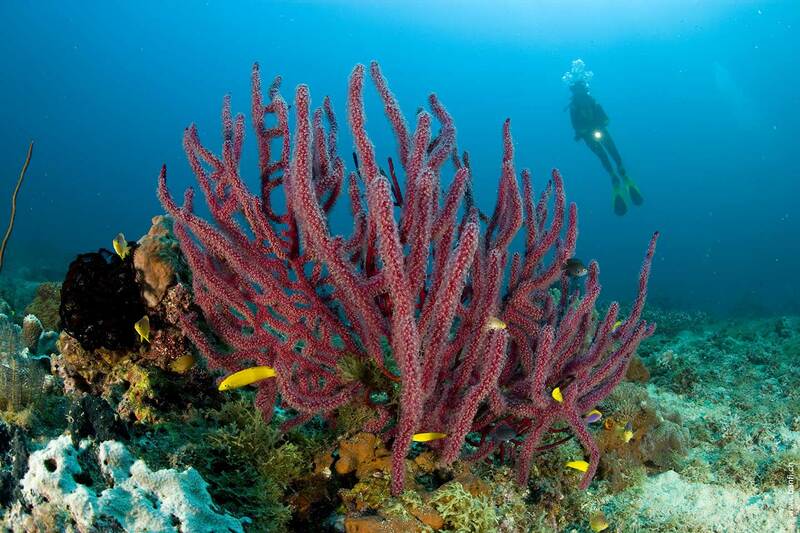 Huge sea fans and other interesting coral formations will fascinate you from start to finish. Barracuda, Tuna, Triggerfish, Snapper, and Stingrays can all be expected to show up during the dive and you will be entertained by the hundreds of Garden Eels on the sandy bottom. 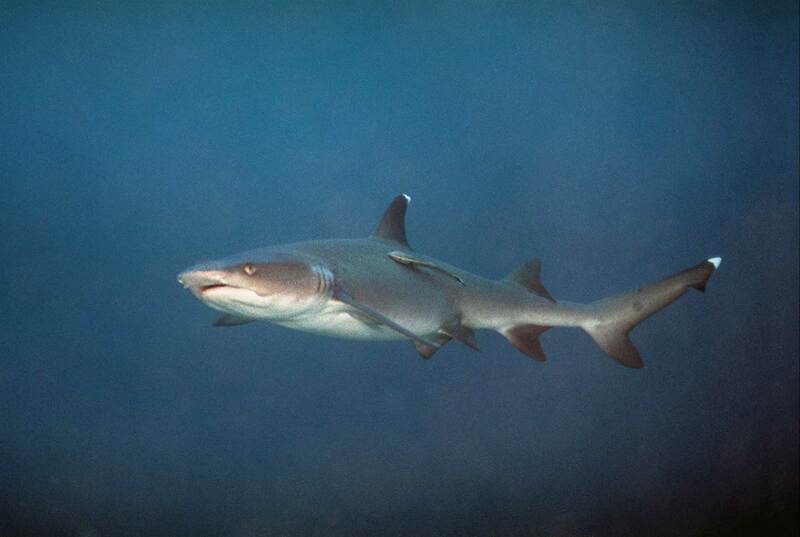 Like at Simons Reef, you can sometimes spot a couple of Leopard Sharks along with White tip and Black tip Reef Sharks. Deep Turbo is always a favourite as exploring the reef and its marine life makes for a truly fascinating dive. This reef is on the north east side of Gili Trawangan; it's the shallow end of Deep Turbo and consists of a white sandy bottom dotted with large coral heads with an average depth of 16m. Dives here can be long and relaxed because the bottom rarely dips below 18m, around the coral heads you will find large amounts of small invertebrate marine life. You will pass through varied terrain, including small channels with Sting rays and fields of garden eels. The sponge life is diverse and quite colourful throughout this site. You will commonly find star puffer fish, schools of batfish, triggerfish, Trevally and turtles, along with a variety of interesting Nudibranchs on this dive site. Located on the East side of Gili Trawangan, this site can be dived by shore or by boat. The maximum depth is 20m with and average depth of 15m which make this site ideal for divers of all expertise levels. This drift dive is made over a gentle sandy slope with an assortment of bommies and low-growing coral gardens. Good Heart reef offers you the opportunity to see bommies and coral overhangs filled with Soldierfish and Copper Sweepers. You will also see numbers of Green sea turtles and Hawksbill turtles eating hydroids. You may spot White tip reef sharks, Giant Trevallies and schooling Barracuda along the deepest parts of the dive site. The shallow area of this reef is popular with snorkelers. This site is to the North of the 3 islands, with a maximum depth of 40m and an average dive depth of 25m. This site is an excellent dive which offers you all the positive factors of Simon's reef and the added bonus of Deep Turbo's topography. Takat Malang is made up of a collection of large coral heads (Takats) arranged in a sloping bed, beginning with a plateau at 15m. There are about 10 major Takats, as if someone has been at work on the reef with a giant carving chisel, each Takat is sculpted with overhangs, outcrops and swim through. This dive site will provide you with the same excellent diversity in corals as those found on Simon's reef. The Takats are covered in soft and hard coral varieties growing on top of the stony outcrops, including some very big Gorgonian fans and table corals. The channels between the Takats are interesting, with a large concentration of the bigger reef fish and fascinating topography. The marine life is quite similar to that found on Simons Reef, you will find Snappers, Sweet Lips, Parrotfish, Angelfish, Triggerfish, Trevallies, Tuna, large Barracuda, Moray eels, large Green Sea turtles and reef sharks. A drift dive along Meno slope is usually quite a joy ride. You will drop into the channel between Gili Trawangan and Gili Meno and descend to the bottom of the sloping reef at 22m. The average depth for the rest of the dive will be 16m, so this site is perfect for all certification levels. Towards the end of this dive site you will find yourself exploring the Bounty pontoon wreck. The sunken pontoon is a large intact structure at 12m full of interesting marine life and teaming with schools of reef fish. On and around the pontoon you will find a variety of scorpion fish and lion fish, along with various nudibranchs and the odd turtle. 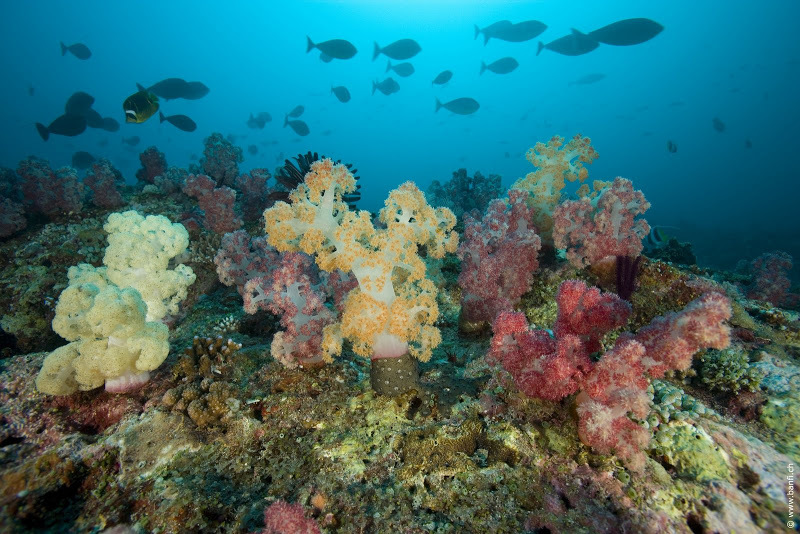 Along the sloped reef you find an array of hard and soft corals with healthy amount of fish life to keep you entertained. It is common to spot Eagle rays, Turtles, Snapper, Triggerfish, Moray eels, Banded sea snakes, White tip reef sharks and Giant Trevallies. 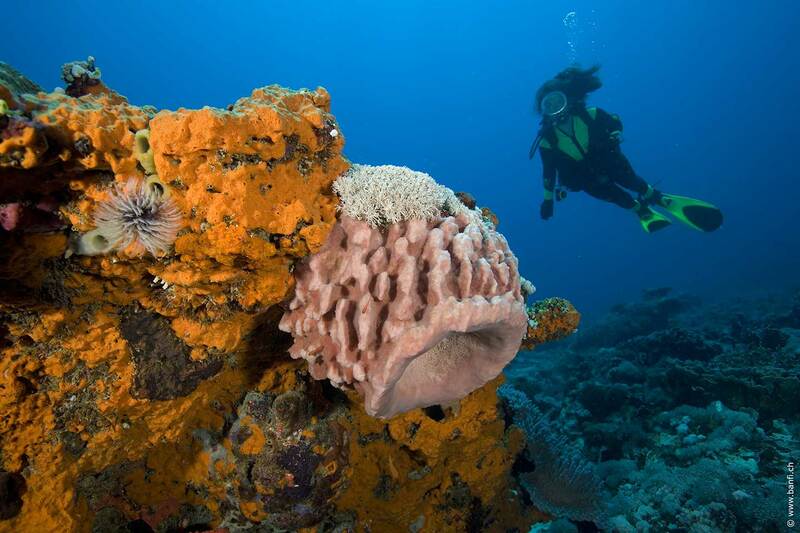 This reef located to the North-west of main land Lombok has been discovered only recently and is well worth a visit. Takat Tunang is a deep reef suited for the more experienced diver, with a maximum depth of 45m and an average depth of 35m. The dive site is a wall drop off (150m) with a large variety of pristine corals throughout the site, different species of shark are commonly spotted here along with huge schools of pelagic fish, Tuna, Trevally, Barracuda, Jack and large Snapper. Divers will finish their dive on coral plateau at 20m. We recommend you make this dive on Enriched air (Nitrox) as to enjoy the full experience of Takat Tunang wall; however it may be done on air as well. Gangga Divers are proud to offer the full range of PADI Courses. Whether it’s your very first venture in to the ocean with a Discover Scuba Diving program, or you want to take your first step towards becoming a PADI Professional with the Rescue Diver Course, Gangga Divers has what you are looking for.